How old is the oldest rock and mineral found on Earth? The oldest rock discovered on Earth, the Acasta gneisses found in the tundra in northwestern Canada near the Great Slave Lake, is about 4.03 billion years old. The oldest minerals yet found are 4.404 billion years old and were found in Western Australia. The minerals—zircon crystals—eroded from their original rock, and then were deposited in younger rock. 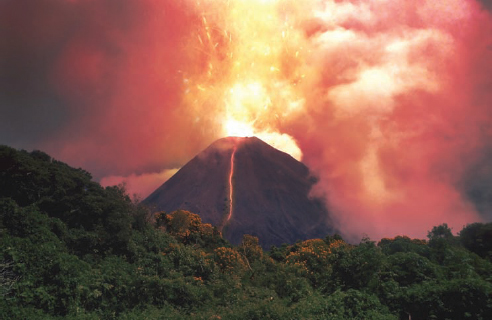 Gases released by erupting volcanoes, such as carbon dioxide, nitrogen, and water vapor, did a great deal during Earth’s early history to make the atmosphere life-sustaining for plants and animals (iStock).